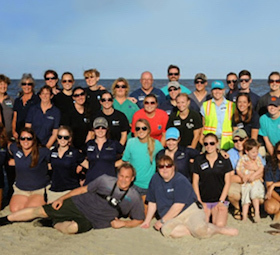 We are thankful for our dedicated staff and volunteers, who are passionate about caring for the animals at the Aquarium. 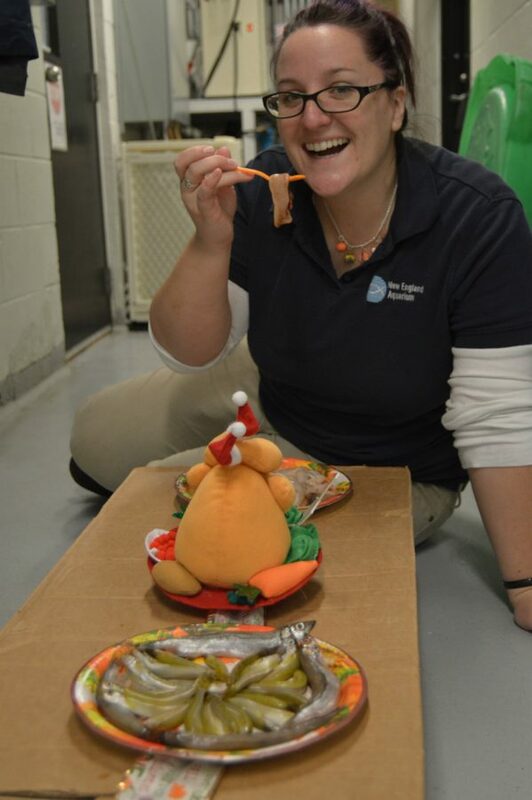 While you were running your turkey trots and basting your birds, these dedicated folks were making sure the animals at the Aquarium had feasts of their own. 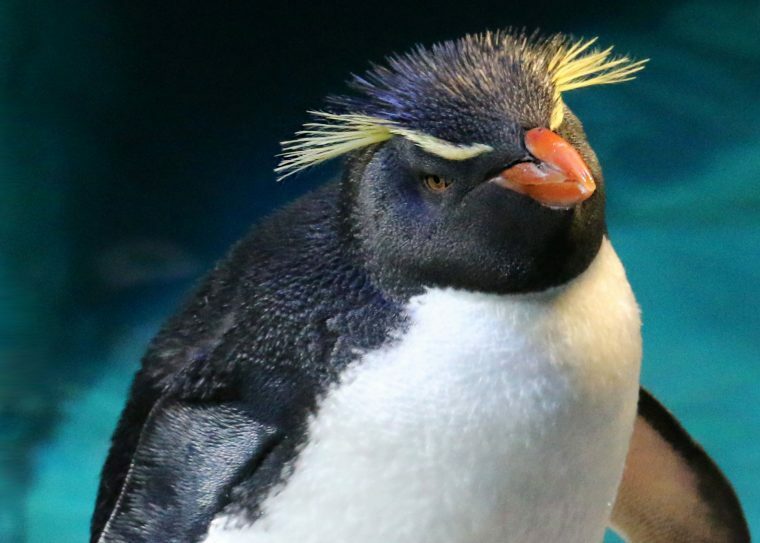 Here’s a peek behind the scenes at what happened today while the Aquarium was closed. 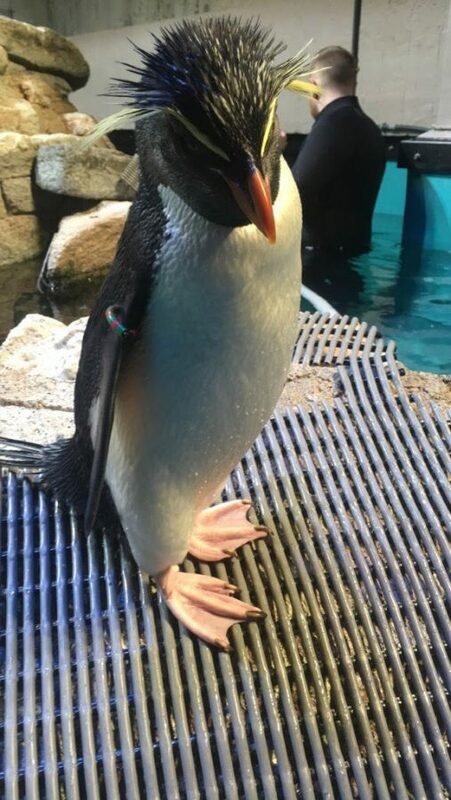 The penguins are hand-fed twice a day, every day. 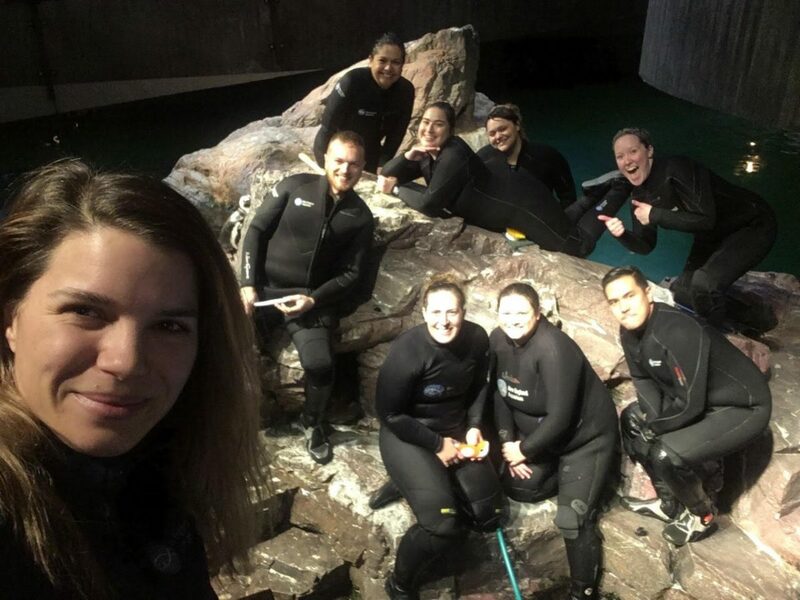 So even though the Aquarium was closed today, we still had staff and volunteers donning wetsuits to wade into the exhibit to scrub the rocks clean and feed the rockhopper, little blue, and African penguins their fill. 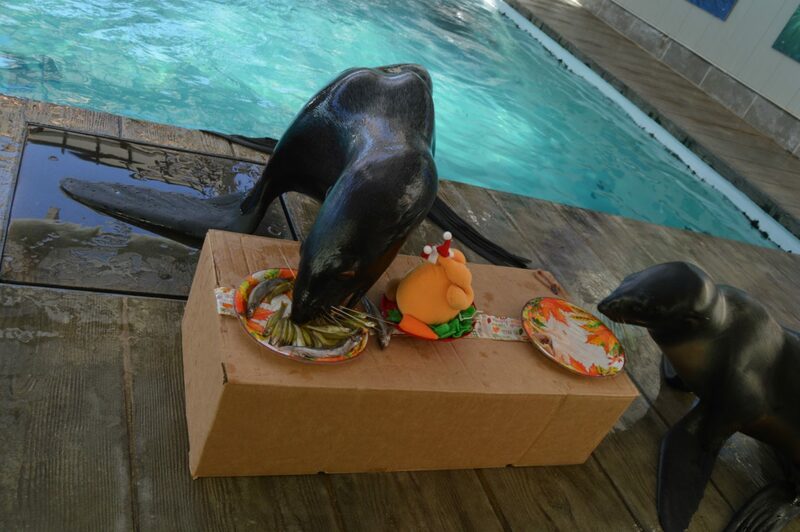 We’re grateful for today’s crew that spent part of their holiday feeding (and cleaning up after) penguins. Falkland wishes you a happy Thanksgiving! This smiling crew makes us smile. 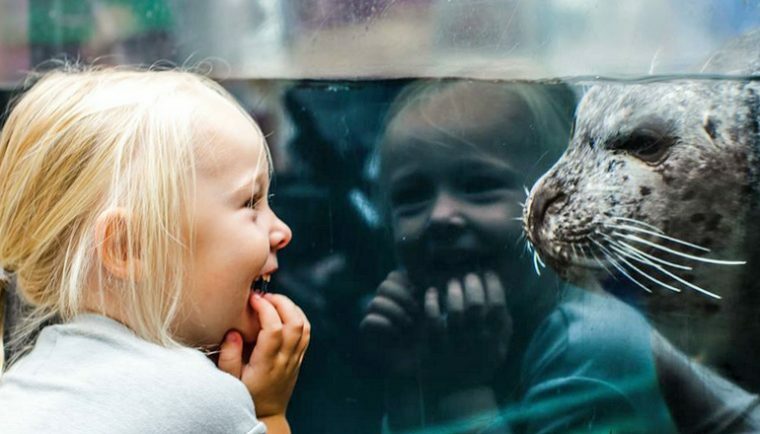 The seals and sea lions in the New Balance Foundation Marine Mammal Center got their usual fill of fish and squid during today’s training sessions. They also got a little extra enrichment in the form of a Thanksgiving table setting, complete with a turkey centerpiece. 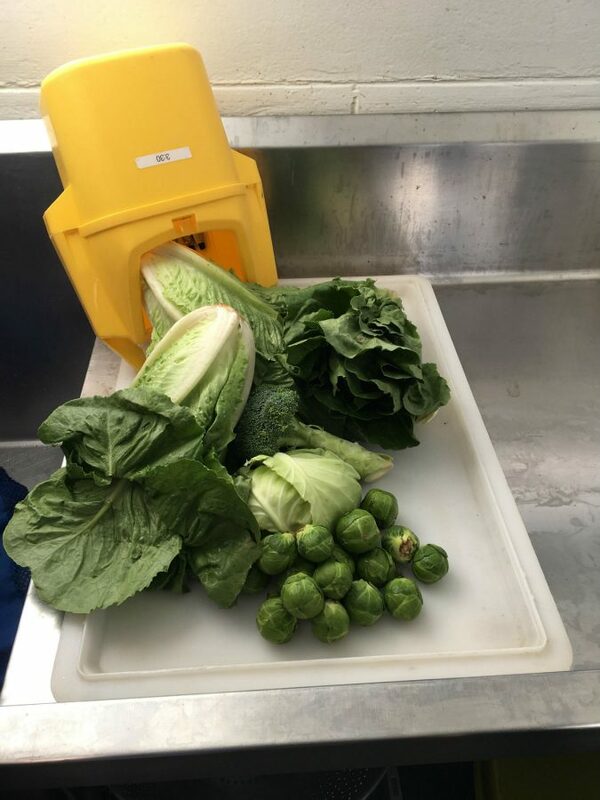 We’re grateful for the trainers who not only feed and care for the seals and sea lions, but pour so much creativity into the animals’ enrichment activities! Jess shows off the spread. Digging in... look at that clean plate club! 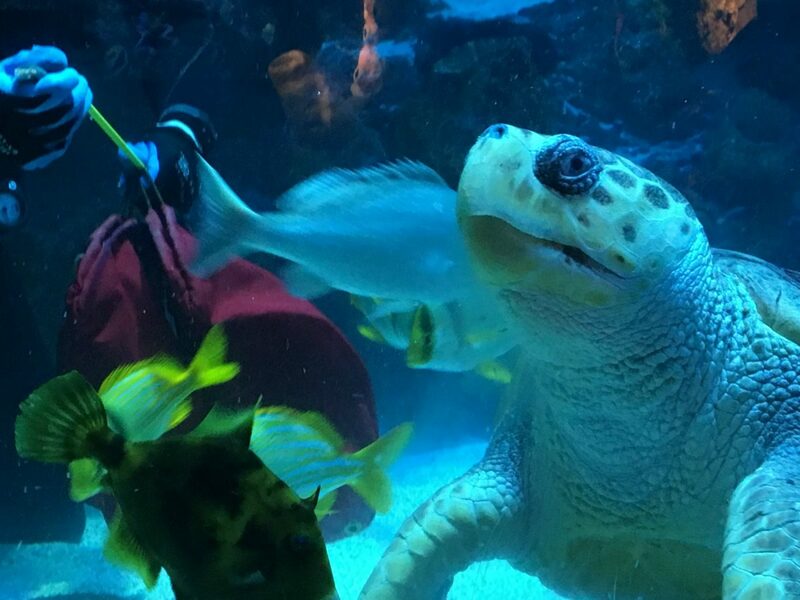 This was a special Thanksgiving for our blind loggerhead sea turtle, who was rescued from a Cape Cod beach 30 years ago today. 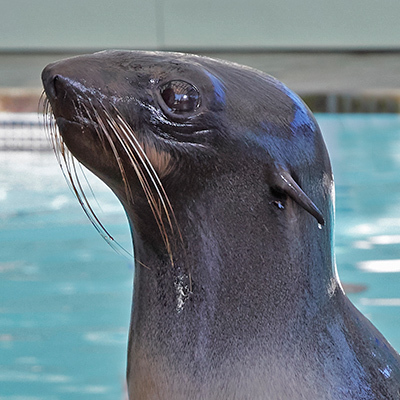 Retread was nursed back to health, but rescuers realized she was blind and would never survive in the wild, so today she lives in the Giant Ocean Tank, where she gets hand-fed every day! 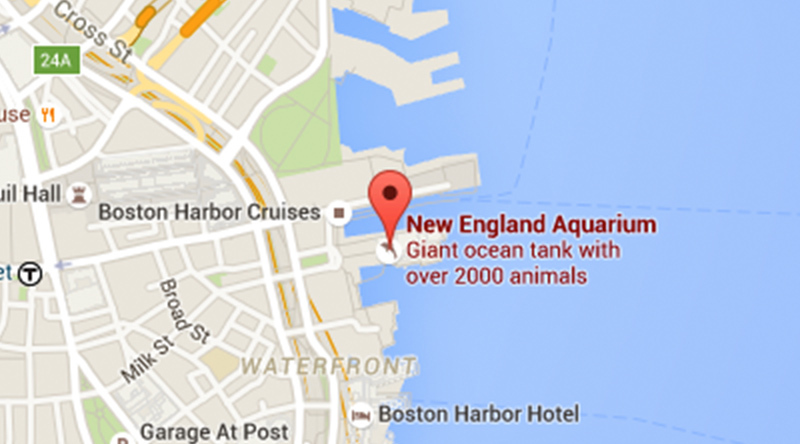 In fact, all the animals in the Giant Ocean Tank get fed every day—even on holidays. 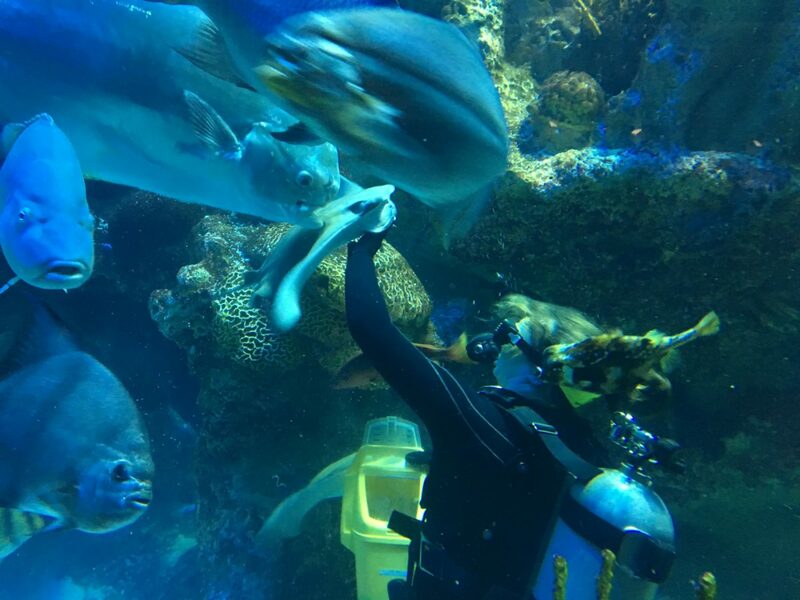 Many thanks to the divers and volunteers who gave the residents of this 200,000-gallon exhibit a happy Thanksgiving—just look at that seafood turkey! No turkey for this beloved turtle. 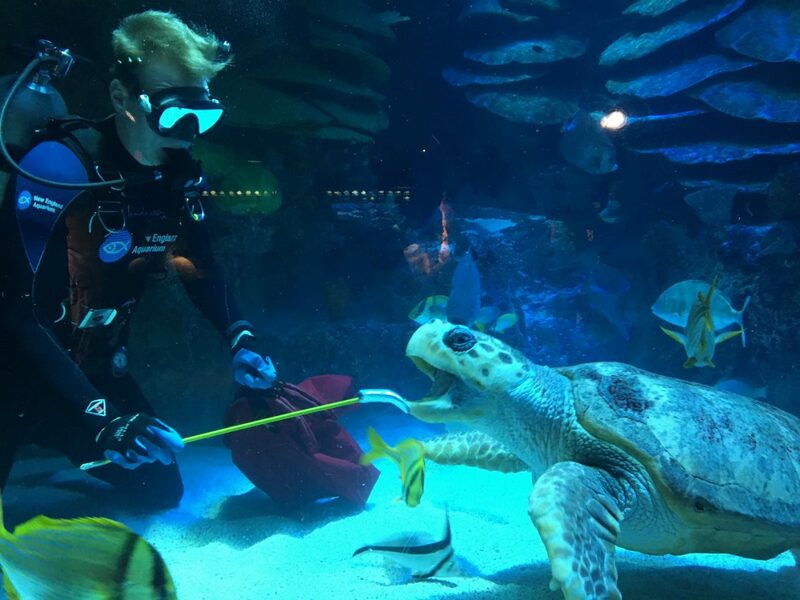 It's squid and fish for the loggerhead sea turtles! Retread was rescued this day 30 years ago. Christine draws a crowd with tasty morsels in the whole bucket. 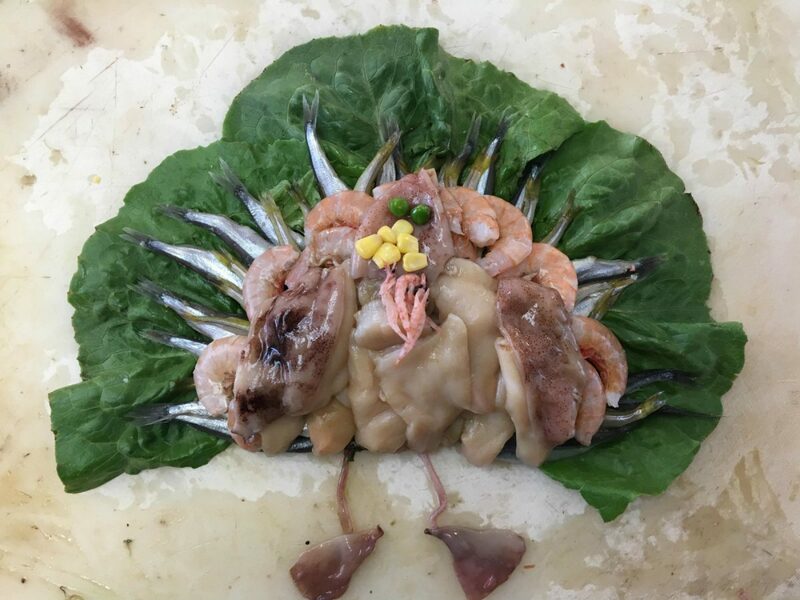 Volunteer Kirsten made this unbelievable seafood turkey. A happy Thanksgiving, indeed! The animals were all well cared for over Thanksgiving and they’ll be ready to greet visitors tomorrow morning, bright and early at 9 a.m. If you’re planning to visit, don’t forget to buy your tickets online so you can get inside to see these Thanksgiving feasters even faster! 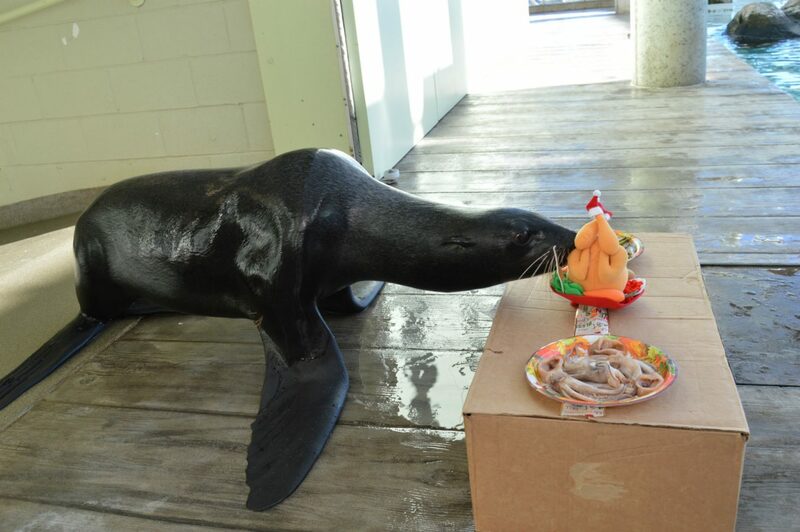 Happy Thanksgiving, from your friends at the Aquarium!